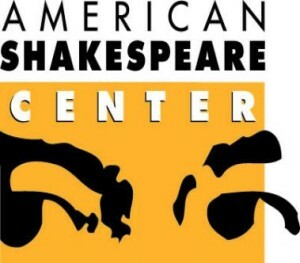 Last night I saw the opening performance of the American Shakespeare Center‘s Actors’ Renaissance Season production of Measure for Measure. Although the play isn’t one of my favorites, it’s extremely well done. John Harrell is his usual commanding self as the Duke who suddenly leaves town, putting his deputy Angelo in charge, knowing that Angelo will enforce strictly laws that have been mostly ignored. And so he does. Angelo–perhaps the best I’ve seen, played by Jonathan Holtzman–learns that young Claudio has made his betrothed, Juliet, pregnant. They’re as good as married, but that’s not good enough for Angelo, so Claudio is sentenced to die. The young lovers are played wonderfully by the real-life married pair of Benjamin Reed and Lauren Ballard. When Claudio’s sister, Isabella (the versatile Allison Glenzer), a novice in the church, comes to Angelo to beg for her brother’s life, Angelo falls in love/lust and agrees to spare Claudio only if Isabella will give herself to him. That all sounds terribly serious, but Lucio, played brilliantly by Chris Johnston, provides comic relief when the Duke, disguised as a friar, returns to check up on Angelo. The play is done so well it is easy to forget that this is the Actors’ Renaissance Season, where shows are put up in a matter of days. Like The Tempest, which opened last week, the company had only about five days to rehearse Measure for Measure. Now they are running in rotation, with a less familiar play, Thomas Middleton’s Women Beware Women, opening at the end of the month.